“MSRTC already running Hirkani, the semi-luxury buses for Shirdi. The bus will run eight trips, four from each side, and will start from 6 am. The fare between Pune and Shirdi will be Rs 250 to 300, way less than the fare charged by private players. We plan to add more buses across different routes, but that will happen in phases,” the official said. At present, a trip to Shirdi from Pune via private buses costs Rs 450 to 500 per passenger. Some people book cabs, which cost nothing less than Rs 4,000-5,000. The fare of Shivshahi bus service is expected to be between Rs 250 to Rs 300. Shirdi is the holy place where sai baba spend their entire life, To take blessings of sai baba at shirdi thousands of peoples goes to shirdi everyday. On the special occasion such as Gurupaurnima, Guruvar(Thurday) etc on these days peoples come to shirdi to take blessing in huge numbers. Its like challenging for Public transport circulation of public transport buses around the city. 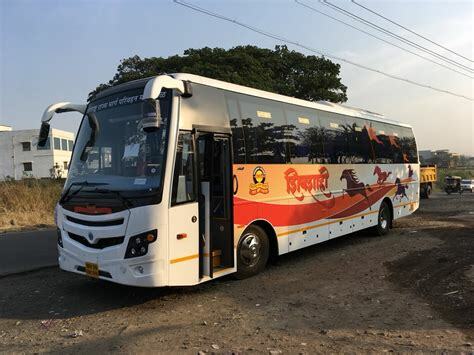 Pune to shirdi Shivshahi bus will be good option for passengers who wants to travel from pune to shirdi in air conditioned public transport vehicle. Before Shivshahi bus , MSRTC doesn’t had a bus to fill the gap between Shivneri bus and Parivahan buses. Parivahan buses are the economical buses; Peoples don’t choose it sometimes as they want to travel with air conditioned buses. Nowadays Shivshahi bus attracting more passengers to public transport vehicle from private travelling buses due to its good services at economical fare ticket.